I’m on the brink of publication. And I know I’ve said that a few times, but this time as I reread Disintegration I’ve got the feeling. It’s a rare feeling for an author: it’s done. It’s right. This is finally a product I feel proud to put in front of my readers. So my this weekend, September 8, 2018, I plan to have Disintegration available for purchase. With that, I’m faced again with the future. My next step is obvious. I have a finished first draft of the third and final book of the trilogy that needs some major rewrites. The biggest problem with this was that I was hoping to have the Malfunction Trilogy finished and published by the end of the year. Connection, the final book, was supposed to come out in December. Now, that doesn’t quite seem like a possibility. If you’ve read my last post you saw that the reason Disintegration took so long was not just a matter of working hard or fast. In the end, I’m proud of what I’ve created, but I don’t want to go through an experience like that again. Yes, a lot of it was out of my hands. But if I want to take myself seriously as a business woman I need to learn how to take things a bit slower. Yes, I can push myself to produce more, but I want this business to last me the rest of my life. And going like I am, I’m facing down burn-out on a constant basis. So I’ve been looking at my business plan again. There are a few things I can do to work on these issues with my everyday life: get healthier, streamline my cooking and cleaning by planning ahead, taking advantage of rest and focusing on my work when it’s time to work. But I’ve learned that I need to stop expecting myself to do everything. You see, as a self published author I’m not just responsible for writing and posting my work. I have to handle all the marketing, and every step of the creation of my book. Down to the margins and type of paper on the finished paperback. These are all things that would normally be handled, in least in part, by a publishing company. And that is just the left side of my brain. The majority of my work is creative in nature. I want to publish and create quality work, and I want to have fun doing it. I have a list of at least twenty books and short stories that I want to write and publish at some point. And at any given moment one of those stories could pop into my head and refuse to leave. I’ve tried to brand myself as an author who writes outside of just Cyberpunk because a career in only one subgenre will eventually get boring, no matter how amazing that subgenre is. Beyond that, my original passion is, and will always be, epic fantasy. That means that I’ve been really struggling to decide where I want to go on this crazy journey after I’ve finished the Malfunction Trilogy. So I've struggled with the idea of writing a long series in a single genre. However, it's clear that this is the best way to establish yourself as an author. Due to all of these things, I’ve been working at building a new business plan. After a long talk with a few people who I trust in these matters, I’ve pretty much figured out what the next few years will look like. Firstly, I’m going to be pulling back on some of my social media plans and focusing in on what I can do at the moment. I’ve been trying to work towards starting a youtube channel and a podcast for some time now. I was really excited about both of these prospects, but now I can see how much stress both would add. 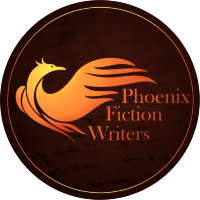 I have the amazing privilege to be part of the Phoenix Fiction Writers and I’ve decided I’ll lean on them for my audio and visual needs. My current focus will be on my newsletter, and on my existing platforms on Twitter, Pinterest, and Instagram. As for with my writing, I’ll be focusing on my existing trilogies and emphasize my cyberpunk work until I’m a bit more established. The final episode of The Raventree Society Season 1 is coming out this month. My intention was to build a special edition book with custom art by October. However, I just don’t have the time or energy to paint seven custom pieces, with all the other art I’ve already promised to do for people. So I’ll be holding off and producing those special editions in the end of the three year run of the series. That’s right, The Raventree Society will run for two more seasons. At the end of three years, I’ll reevaluate and see if the series has gained enough interest to add to the story line or if I should move on to a different serial story. In the meantime I have book 3 of the Malfunction trilogy slated for Fall of 2018. A full year from now. It will give me some time to finish up some of the projects that have been piling up while I tried to get Disintegration finished, and plenty of time for rewrites. After Disintegration my plan is to write a new series. The yet unnamed series will be a true Cyberpunk. If you’ve read the PFW anthology, available on the PFW newsletter, you might have read “Stealing Life”. This series will be an expansion of that story. And I am currently working on another short story for a new PFW anthology themed around Antiheros. I will start putting out those books in 2020. At the same time I’ll be working, bit by bit, on an Urban Fantasy that I hope will help me break into the Traditional Publishing world so I can go hybrid. I hope you are excited for the next few years. I know I am. I’m looking forward to the prospect of fully enjoying my writing, A lot of things will be changing over the next few years, but I’m still focused on my goals, and on creating quality stories for my readers. I hope you will stay with me through this journey.